Another busy year has passed and our target dates have driven us through what has been a very exciting year for us. The development and submission of the Employment and Skills Plan 2018. Increasing our work with employers in the region to ensure the employers voice is heard through the Skills Plan. This year we engaged with over 500 employers across our region and continue to talk with the industry cluster chairs to meet changing industry needs. Working closely with the Swansea Bay City Deal Team to promote the work of the Skills and Talent Initiative, including a number of business engagement events. Increasing our engagement with schools, including the development of the Welsh Baccalaureate package and working with partners in the region to promote STEM subjects. During the next few months we will be starting to work on the next Employment and Skills Plan, increasing our engagement with employers and continuing to support our partners to meet and deliver the skills agenda for South West and Mid Wales. We value the support that we have received from our partners and stakeholders and hope that this support continues as we look ahead to develop a robust, representative and inclusive skills plan. 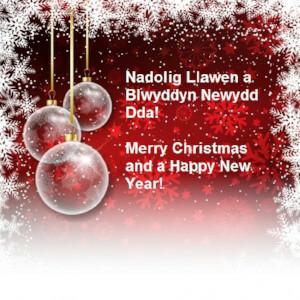 I would like to wish you all a Merry Christmas and Happy New Year from all of the RLSP team and look forward to working with you next year. 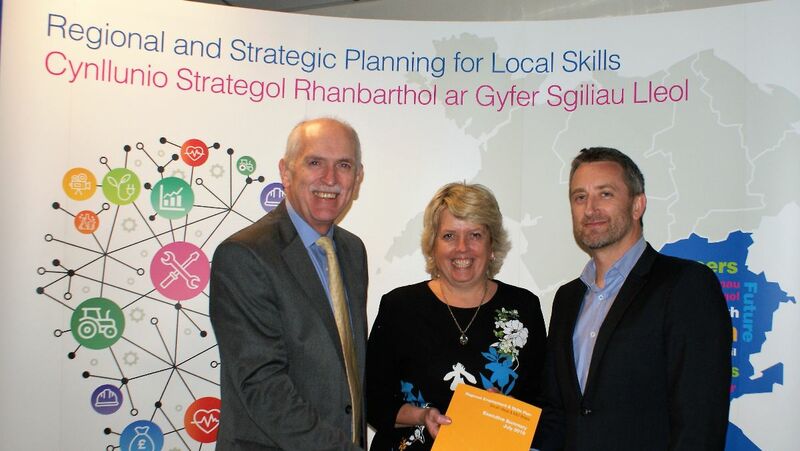 The Minister for Life Long Learning and Welsh Language, Eluned Morgan congratulated the Regional Learning and Skills Partnership South West and Mid Wales on the development of their Employment and Skills Plan 2018/19. The Skills Plan; aimed at ensuring that our next generation have the skills needed to drive the industries of tomorrow was officially launched in late November at the Liberty stadium. Over 500 employers in the region have worked closely with the RLSP team to identify skills issues that need to be tackled with the RLSP successfully facilitating partnership working between a range of stakeholders to ensure the development of a plan that is representative and meets the needs of those working, living and learning in the region. Inform and support the Welsh Government’s strategic approach to the delivery of employment and skills provision. Support the delivery of a post-16 learning environment which is fit for purpose. Over 150 delegates attended the launch event, ‘Our Skills, Our Future: Driving Change’ and had the opportunity to listen to a number of inspirational speakers and attend a workshop on key issues affecting businesses across the region. Speakers included; RLSP board representatives, the Big Learning Company, MiFuture, Innovate UK, Swansea University, River Simple, and Be the Spark. Four topical workshops were on offer at the event; Careers Wales held a workshop on how to support employers to support education. The HMPPS shared information on employment opportunities for Ex-offenders. The Welsh Government, HEFCW and NTfW joined together to run a very informative workshop on Apprenticeships. The final workshop on offer was run by Welsh Government looking at supporting people with disabilities into employment. Make sure you talk to the Regional Engagement Teams. There are four Regional Engagement Teams across Wales working to support potential sponsors develop EU funding proposals which can help meet existing and future development opportunities at regional levels. The Regional Learning and Skills Partnership's geography is covered by both the Mid Wales RET and the Swansea Bay RET.